On October 11th, President Trump signed the Save Our Seas (SOS) Act into law. 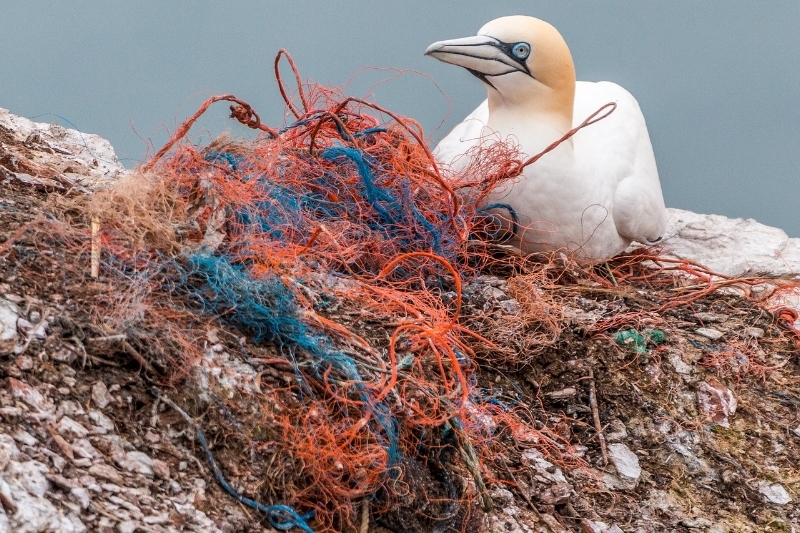 Originally introduced by Senator Dan Sullivan (R-Alaska) in the early spring of 2017, the bill—designed to push our country toward more direct and involved problem solving in the worldwide marine debris conversation—has garnered resolute bipartisan support over the course of the past year and a half. After careful amendment, the bill passed in the Senate with overwhelming support from both sides of the aisle in early August of that year. It’s been a long road, but a voice vote for the SOS Act passed unanimously in the House on July 25th of this year, paving the way for more effective, committed programming to work toward finding and achieving solutions to our world’s burgeoning marine debris crisis. Finally, the bill made its way to the President’s desk and was signed into law. Scientists estimate that 8 million metric tons of plastic pollution makes its way into the ocean each year. This includes single-use plastics, ghost fishing gear, and more. All in all, our nation’s Congressional leadership made a major gesture of bipartisan commitment to resolving our global marine debris problem, and the Administration answered their call for commited, strategic, and prosecutable work to fight for debris-free marine and coastal environments. Major thanks are due to Senator Sullivan (R-Alaska) for introducing the bill, as well as the 21 cosponsors that exercised true bipartisan momentum to drive its priorities to fruition. In a time where conservative environmentalism seems an elusive concept to many, we couldn’t be more grateful to our current Republican leadership for showing concern for the environment, coastal communities, and healthy marine ecosystems. It’s not a partisan issue. These days, the amount of ideological discord polluting both the halls of the Capitol and the minds of Americans from differential perspectives and backgrounds can seem beyond disheartening. But not today. Not with this bill. Not with this commitment to ocean health. At the end of the day, securing a healthy, protected, and vibrant future for the ocean is something that should bring us together. We all live on this planet. We all feel the passion that’s ignited in our hearts when we realize all sea turtle species resident to U.S. waters are either endangered or threatened. We all feel the heartache when we read the stories and see the photos of marine mammals becoming traumatically trapped in improperly disposed fishing gear. The ocean is not a partisan issue. The earth is not a partisan issue. Wildlife safety and survival is not a partisan issue. And as human beings, acknowledging, analyzing, and addressing our impact on natural environments and the species that call them home is never a partisan issue. By arriving at a middleground and working with Democratic counterparts to find solutions like these, our Republican representatives are helping demonstrate what all right-of-center constituents should acknowledge. At the core of conservatism is a passionate, willful acknowledgment of the fact that what we are blessed to be surrounded with and given in the natural world is a gift to be treasured, protected, and preserved at all times. With the implementation of onward-and-upward legislation like the Save Our Seas Act, it’s happening. One step at a time. Slowly but surely, we really are #ChangingTheNarrative.